Nowadays, human activities and movements are recorded by a variety of tools, forming different trajectory sets which are usually isolated from one another. Thus, it is very important to link different trajectories of one person in different sets to provide massive information for facilitating trajectory mining tasks. Most prior work took advantages of only one dimensional information to link trajectories and can link trajectories in a one-to-many manner (providing several candidate trajectories to link to one specific trajectory). 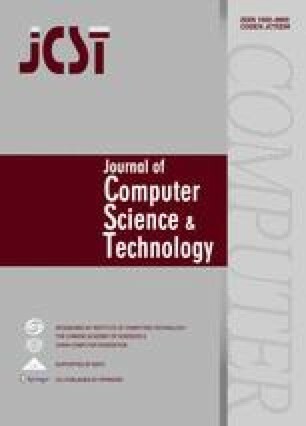 In this paper, we propose a novel approach called one-to-one constraint trajectory linking with multi-dimensional information (OCTL) that links the corresponding trajectories of one person in different sets in a one-to-one manner. We extract multidimensional features from different trajectory datasets for corresponding relationships prediction, including spatial, temporal and spatio-temporal information, which jointly describe the relationships between trajectories. Using these features, we calculate the corresponding probabilities between trajectories in different datasets. Then, we formulate the link inference problem as a bipartite graph matching problem and employ effective methods to link one trajectory to another. Moreover, the advantages of our approach are empirically verified on two real-world trajectory sets with convincing results. The online version of this article (doi: https://doi.org/10.1007/s11390-018-1856-x) contains supplementary material, which is available to authorized users.